"Real estate offers so many tax advantages it is unique in that it can be used to postpone capital gain taxes indefinitely." www.wellingtonpublications.com/hpr/planning/section5.html "Real Estate"
When income taxes were first imposed in 1918, gain or loss recognition was required on all disposition of property. To allow USA citizens to maintain wealth an IRS provision for non-recognition of gain or loss on the exchange property was introduced in 1921, § 1031. Since inception, there have been five major amendments made to the Tax-Deferred Exchange as we know it today. The real estate tax deferred exchange gained significant recognition and popularity in the early 1980’s following the case of Starker vs. United States, which created the 180 day Safe Harbor period following the sale of an asset to effectuate an exchange. This procedure is outlined under the Internal Revenue Code Section 1031, and involves a series of rules and regulations that must be met in order to take full advantage of this tax benefit. Since the mid-1980’s billions of dollars of real estate have been successfully exchanged via this technique. Contact 1031FEC. Though 1031FEC and Kenneth Wheeler do not offer tax advice or legal advice, we can guide you in the right direction and facilitate the efforts of other professionals who will be working with you to complete the transaction. One needs to consult early with an accountant and other professional advisors. 1031FEC's goal is to assist, ease, & expedite the § 1031 property transfer process. What are the Basics of a 1031 Property Exchange? A 1031 Exchange is a mechanism that allows one to defer capital gains taxes otherwise incurred at the sale of real estate. 1. Properties: Simplified, both the old property and the new property must be either land, commercial or rental property (in certain cases, vacation and even personal residential property also qualify). You can exchange property for other IRS recognized like-kind property. For example, office buildings could be sold and apartments purchased or an industrial complex sold and raw land purchased. The buying and selling transactions can be separate events involving different parties, just as they would in any arms-length sale and repurchase of property. 2. Money: You cannot touch the proceeds (money). By law, the proceeds from the sale of your current property must be held with a Safe Harbor "Qualified Intermediary or Qualified Escrow Holder" (sometimes also called an "Accommodator" or a "Facilitator"). You cannot place the proceeds in escrow until the second property is acquired, nor can you have a friend, employee, broker, your CPA or attorney hold the money for you. 3. Timing: From the date you close on the sale of your current property, you have 45 days to determine a list of up to three properties you want to own. Also, from the date of closing of the sale of your current property, you have *180 days to close on the purchase of one or all of the properties listed on your 45-day list. Contact 1031 FEC for more details about this time limit. *May be less than 180 days with tax date limits. 4. Reinvestment: To avoid taxable gain, you must reinvest in a property of equal or greater value. To exchange for property of less value may cause prorated tax liability. 5. Title: The title-holder of the old, sold property must remain the title holder of the new property until after the exchange is completed. Do advanced planning for the exchange. Visit with your accountant, attorney, broker, lender and Qualified Intermediary (Accommodator). Do not miss your identification and exchange deadlines. Failure to identify within the 45 day identification period or failure to acquire replacement property within the 180 day exchange period will disqualify the entire exchange. Reputable Intermediaries will not act on back-dated or late identifications. Use all proceeds from the relinquished property for purchasing the replacement property. Make sure the debt on the replacement property is equal to or greater than the debt on the relinquished property. (Exception: A reduction in debt can be offset with additional cash, however, a reduction in equity cannot be offset by increasing debt. Do not plan to sell and invest the proceeds in property you already own. Funds applied toward property already owned purchase goods and services, not like-kind property. Do attempt to sell before you purchase. Occasionally Exchangers find the ideal replacement property before a buyer is found for the relinquished property. If this situation occurs, a reverse exchange (buying before selling) is the only option available. Although there is considerable legal precedent for reverse exchanges, Exchangers should be aware they are considered a more aggressive exchange variation because no clear IRS guidelines exist. Do not dissolve partnerships or change the manner of holding title during the exchange. 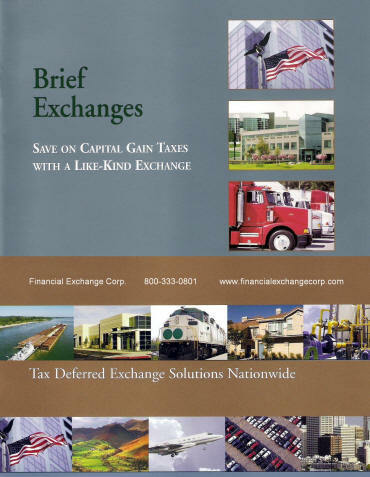 A change in the Exchanger's legal relationship with the property may jeopardize the exchange. The term "boot" is not used in the Internal Revenue Code or the Regulations, but is commonly used in discussing the tax consequences of a Section 1031 tax-deferred exchange. Boot received is the money or the fair market value of "other property" received by the taxpayer in an exchange. Money includes all cash equivalents plus liabilities of the taxpayer assumed by the other party, or liabilities to which the property exchanged by the taxpayer is subject. 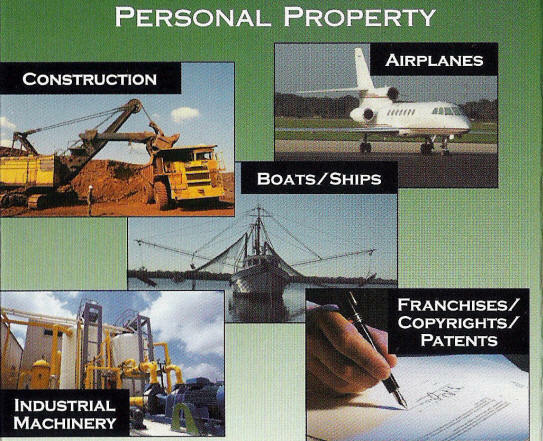 "Other property" is property that is non-like-kind, such as personal property received in an exchange of real property, property used for personal purposes, or "non-qualified property." "Other property" also includes such things as a promissory note received from a buyer (Seller Financing). Any Boot Received In Addition To Like Kind Replacement Property Will Be Taxable (to the extent of gain realized on the exchange). This is okay when a seller desires some cash or debt reduction and is willing to pay some taxes. Otherwise, boot should be avoided in order for a 1031 Exchange to be completely tax-free. Cash boot taken from the exchange. This will usually be in the form of net cash received, or the difference between cash received from the sale of the exchange property and cash paid to acquire the replacement property or properties. Net cash received can result when a taxpayer is "trading down" in the exchange so that the replacement property does not cost as much as the exchange property sold for. Debt reduction boot which occurs when a taxpayer’s debt on replacement property is less than the debt which was on the exchange property. As with cash boot, debt reduction boot can occur when a taxpayer is trading down in the exchange. · Tenant damage deposits transferred to the buyer. · Any other charges unrelated to the closing. Cash boot paid (replacement property) always offsets cash boot received (exchange property). Debt boot paid (replacement property) always offsets debt-reduction boot received (exchange property). Cash boot paid always offsets debt -reduction boot received. Exchange expenses (transaction and closing costs) paid (exchange property and replacement property closings) offset net cash boot received. Always trade "across" or up. Never trade down. Trading down always results in boot received, either cash, debt reduction or both. The boot received can be mitigated by exchange expenses paid. Bring cash to the closing of the Exchange Property to cover charges which are not transaction costs (see above). The basic concept of a 1031 exchange is that the basis of your old property passes to your replacement new property. In other words, if you sold your old property for $100,000, and bought your replacement new property for the same, your basis on the replacement new property would be the same. It makes sense then that your depreciation schedule would be exactly the same. It is. In other words, one continues the depreciation calculations as if one continues to own the old property (the acquisition date, cost, previous depreciation taken, and remaining un-depreciated basis remain the same). For additional depreciation a property purchase above the minimum replacement property purchase for complete tax deferral is required. One may have an interest deduction for replacement property borrowed funds. 1031FEC recommends your experienced 1031 exchange and personal tax advisor to confirm your tax advantages. Do not report the sale of your main home on your tax return unless you have a gain and at least part of it is taxable. Report any taxable gain on IRS Schedule D (Form 1040). On May 30, 1997, Amy bought a house. She moved in on that date and lived in it until May 31, 1999, when she moved out of the house and put it up for rent. The house was rented from June 1, 1999, to March 31, 2001. Amy moved back into the house on April 1, 2001, and lived there until she sold it on January 31, 2003. During the 5-year period ending on the date of the sale (February 1, 1998 - January 31, 2003), Amy owned and lived in the house for more than 2 years as shown in the table below. Contact 1031 FEC for tax saving alternatives when selling a home with gain above exclusion allowed. 1) Access to Premium Agriculture and Commercial Real Estate Property Provided by the Highest Integrity National & Regional Companies. 3) Free Consultation to assist you with your § 1031 real estate exchange property transfer and investment plan. 4) Experienced reinvestment assistance resulting in full value diversification for less risk. 5) Assist to qualify, locate and match clients to § 1031 Managed Premium Replacement Properties for Tax Advantaged Exchanges or Direct Purchase of Commercial, Agriculture & Development Land (Land Banking), assisting Real Estate Property Owners, Sellers, Investors, their Qualified Intermediaries, Escrow Agents & Professional Advisors. 6) Ease the § 1031 procedure burden and stress. Maintain peace of mind with 1031 FEC experience guiding clients through each step and groups of documents to help assure IRS compliance and qualification. Reduce property transfer stress. 7) Expedite the § 1031 process by monitoring each necessary phase and encouraging completion of documentation by all parties resulting in a timely transfer of ownership. 8) Best § 1031 Property Management teams available with proven experience, integrity and success results in property income and appreciation without the stress. 9) Tax, Estate and Legacy Planning assistance by matching the right income property to minimize, and in some cases, defer income tax permanently with 1031 FEC Consultation and Advisory Services. Personalized investment strategies assist to produce a greater after tax return. Tax savings and deferment can be thousands of dollars and $ millions for some property owners. 10) Tax Planning assistance by performing a Property Cost Segregation Study (PCSS). Tax reduction, savings and deferment could lower and save current tax dollars due now and in the future for many property owners. 11) Retirement Planning assistance with plans that place usually taxed income to IRS approved retirement funds allowing deductions to $100,000 and tax savings up to $40,000 annually. Roth IRA alternatives considered to allow no taxation. § 1031 Premium TIC Exchange - What is a Tenants-In-Common Investment? IRS (Internal Revenue Service) IRC (Internal Revenue Code) § 1031 TIC and § 721 TIC real property exchanges and stock exchanges remain popular for tax-deferral. Generally two to eight owners of single property allow owners to purchase larger more secure leased real estate. Tenant in Common is a form of holding title to real property. It allows the owner/owners to own an undivided fractional interest in the entire property. In addition, it has become the preferred investment vehicle for real property investors who wish to defer capital gains via a § 1031 exchange and own real property without the management headaches. Professional proven property management in place. You receive a monthly or quarterly income check. In a 1031FEC Premium Tenants-in-Common (TIC) investment you are a co-owner of an entire property. You title as an owner in an undivided interest in the property along with other investors. For example, as a TIC investor in a multi-tenant office, you share in the ownership of the entire property, not a specific office space. Likewise, if you invest in an apartment complex, you share in the ownership of the entire property, not a specific unit. IRS § Section 1032 advantages exchange of stock for property with no gain or loss recognized to a corporation on the receipt of money or other property in exchange for stock (including treasury stock) of such corporation. No gain or loss shall be recognized by a corporation with respect to any lapse or acquisition of an option, or with respect to a securities futures contract (as defined in section 1234B), to buy or sell its stock (including treasury stock). For basis of property acquired by a corporation in certain exchanges for its stock, see your tax advisor, your Qualified Intermediary and 1031FEC. IRS §721 ("721 Exchange") allows a Taxpayer to exchange rental or investment real estate ultimately for shares in a Real Estate Investment Trust (REIT). This is called a §721 exchange, also known as an upREIT or §1031 / 721 exchange. Your 1031FEC Consultant can advise in detail for your personal portfolio. An Umbrella Partnership Real Estate Investment Trust or UPREIT implements the use of both The Internal Revenue Code Section §1031 and §721. In an UPREIT structure, the investor executes a 1031 exchange TIC into one property in which he/she will co-own for about 12-18 months. At that time the investor will implement a § 721 exchange in which he/she will contribute a property to a partnership. At this point the investor receives interest in the partnership called operating partnership units (OP units). § 721 exchanges are often used by real estate investment trusts (REITs), which typically own all or substantially all of their assets through a subsidiary partnership with the REIT acting as general partner. In a §721 exchange or UPREIT structure, rather than taking possession of another property, the investors receive OP units that carry the economic benefits of the REIT’s entire portfolio, including any capital appreciation and distributions of operating income. OP units can be converted later into shares of the associated REIT, and may only be taxable when such a conversion or liquidation takes place. IRS §1031 and §721 TIC exchange investments are structured to defer capital gains and recapture of depreciation taxes in accordance with 1031 exchange requirements. Reduce risk by identifying 1031FEC Premium TIC replacement property for your 1031 Exchange. Identify multiple TIC Properties. Or, acquire interest in multiple TIC Properties. One may directly acquire TIC or most properties without an exchange. •45 days is a very short time to locate a qualified property. Using the 3-Property Rule, one can identify a 1031FEC Premium TIC Property as one of your properties. If the other choices fail to close, the entire proceeds can easily be applied to the TIC property. •If you do replace with one whole property and have proceeds left, you can put these remaining proceeds into the TIC property identified. •Failure to close under 1031 time limit is the #1 reason clients reveal as to why many sellers pay capital gain taxes! This is an open investment program. This means that the properties are already purchased and the investment program structure is in place, eliminating the risk of time and uncertainty in identifying a replacement property. Simplicity and speed are achieved due to the efforts of an experienced real estate principal. Negotiation process is complete. Surveys, Rent rolls, etc. are already completed and available for your review. Non-recourse Financing is in place. After your review of all due diligence used to acquire the property, and upon your approval, you are ready to close! Closings can be complete in days, not months. Access to Preferred High Grade Properties from Reputable National Real Estate Companies - The typical investment in whole commercial building begins at $1 million, but through premium TIC ownership, the average person is able to enjoy ownership in an institutional-type property with a minimum investment. Besides reliable income and growth potential, these high quality properties are able to attract tenants with greater financial strength and stability than possible for the individual landlord. Combined Real Estate Experience - As an alternative to sole ownership of real estate, a 1031 buyer can take ownership in a large preferred commercial property along with other unrelated buyers, not as limited partners, but as individual owners. Each of the TIC owners brings their previous real estate knowledge to the group. Thus, each decision of the TIC ownership will be backed by many years of real estate experience. Lessee Management with up to 25 Years Experience in Real Estate - Most of the day-to-day property operations are handled by a Master Lessee. The lessee managers control or has involvement in more than $350 million in real estate assets and have extensive experience in real estate. Thus, situations that arise in day-to-day operations will be addressed quickly and efficiently, and the Premium Property TIC owner will enjoy the freedom from property management. Simple Mailbox Management - The Premium TIC property owner avoids the time and frustration of dealing with multiple tenants. You no longer deal with "toilets, tenants and trash," and simply receive your monthly lease payment from your mailbox. Enjoy other interests, travel and time with family. Exact Dollar Matching - In a Premium TIC property, you may be permitted to purchase any amount above the minimum. For example, if you have $152,479 of equity from the sale of a previous property you can purchase $152,479 of equity in a TIC property. Low Minimums - Revenue Procedure 2002-22 issued by the IRS allows up to 35 TIC owners in any one property. Most TIC owners number 15-25 per property. Minimum purchase requirements are structured to meet this limitation and can range as low as $50,000 equity. Non-recourse Financing - The mortgages on most of the Premium TIC properties offered are non-recourse. The TIC debt structure generally allows for the debt financing to assumed. Assumption usually occurs without the need for qualification or loan assumption fees. Diversification - Due to the low minimums in Premium TIC properties, the buyer can decrease risk by diversifying into different properties in various different marketplaces. Speed and Simplicity - Speed and simplicity are achieved due to the efforts of 1031 FEC Consultants, Associates and experienced real estate professionals. The negotiation process is complete, and survey, rent rolls, etc. are already completed and available for your review. After your review of all the due diligence used to acquire your property, and upon your approval, you are ready to close. The closing can be completed in days, not months. No Closing Costs - Some property investments include closing costs. Be sure of all costs in a purchase or exchange. Absent seller default or other items outside the control of 1031FEC, closings are generally within the agreed upon time frame. 1031 FEC does not charge the TIC owners closing costs. Non-FEC1031 triple-net Master Lease transactions generally result in client closing expenses. 1031 Qualified Intermediary fees are paid by the buyer/exchanger. Deeded Interest - The Premium TIC owners buy the property and receive a deeded interest. You can transfer this interest by gift, sale, inheritance, assignment, etc. Such transfer does not need to coincide with the transfer of all TIC interests in the property. If requested to do so by the TIC owner, 1031FEC will assist in the marketing of any TIC interest. No Special Allocations - All the Premium TIC owners receive lease payments, sale proceeds and the depreciation tax benefits in proportion to their percentage ownership in the property. Impasse Resolution Procedure - On a decision requiring unanimous vote, such as a sale decision, a 75% vote by the TIC owners may be sufficient to initiate the impasse resolution procedure. This procedure allows the TIC owners with 75% or more of the property to make an offer to buyout the dissenting owner with 25% or less of the property. The dissenting TIC owners can either: (1) accept this offer, (2) buy out the 75% TIC owners at the same price per percentage ownership, or (3) change their dissenting vote to a consenting vote. Financial and Estate Planning - 1031FEC assists with your family financial and estate planning in mind that can result in wealth building using risk tolerance and diversification considerations and passing of wealth to heirs with minimum or no tax. As a leader in locating and providing qualified managed premium §1031 Tenants-in-Common (TIC) replacement properties, 1031FEC can offer owners advantages for success. 1031FEC can assist finding the proper 1031 property for your business requirements that can defer capital gains tax and recapture of depreciation taxes. 1031FEC Consultants advise you and your CPA to assist proper IRS documentation and procedure. Reduce stress of management or income collection with 1031FEC TIC and other qualified income properties. Our 1031FEC Premium TIC Program provides real estate buyers with the monthly rental income advantage of a triple-net lease with scheduled increases plus single-tenant property with the appreciation advantages of a multi-tenant property. By owning TIC interests in premium multi-tenant commercial properties across a wide geographical area, real estate buyers can enjoy the diversification that is not possible if you were to buy just one single location property. The 1031FEC Managed Premium TIC Plan is well-suited for the 1031 Real Estate Exchange Property buyer seeking monthly income that increases annually, unlimited appreciation potential, and flexible and easy closings. Current and future 1031 exchange property owners and direct purchasers now have access to the advantages of a long-term, triple-net lease without the disadvantages. No Fee to 1031 FEC 1031 Exchanger Client. Fee paid by 1031 real estate property provider. Follows is a very brief and concise overview of Reverse 1031 Exchanges. 1031 Exchange transactions, especially Reverse 1031 Exchanges, are complex tax-deferred tax strategies. You should always seek competent legal, financial and tax counsel before entering into any Forward or Reverse 1031 Exchange transaction. 1031FEC can assist. There are many reasons why you might find yourself in a position where you must acquire or would prefer to acquire your like-kind replacement property first before you sell your current relinquished property in your 1031 Exchange. You might unexpectedly find an investment opportunity that you must act on before you even have time to consider selling or listing your current relinquished property. The sale or disposition of your relinquished property may unexpectedly collapse and you do not want to lose your acquisition that is closing soon. Or, you may prefer to buy first to eliminate the pressure of having to identify your like-kind replacement property within the 45 calendar day identification deadline in a regular Forward 1031 Exchange. What ever your reason for deciding to purchase your replacement property first, the Reverse 1031 Exchange allows you to acquire your like-kind replacement property first and then subsequently list and sell your relinquished property within the prescribed 1031 Exchange deadlines. It can be a great strategic tool when needed or preferred. The Internal Revenue Service issued Revenue Procedure 2000-37 on September 15, 2000, which provides guidance on how to properly structure a Reverse 1031 Exchange transaction by using a parking arrangement in conjunction with a simultaneous 1031 Exchange. The actual 1031 Exchange portion of your Reverse 1031 Exchange transaction is a simultaneous or concurrent 1031 Exchange either at the beginning or end of your Reverse 1031 Exchange transaction. You will enter into a 1031 Exchange Agreement with a Qualified Intermediary for the administration of your 1031 Exchange. You will enter into another agreement called the Qualified Exchange Accommodation Agreement ("QEAA") that will structure the parking arrangement for your Reverse 1031 Exchange. The QEAA is signed by you and a 1031 Intermediary as your Exchange Accommodation Titleholder ("EAT"). The Exchange Accommodation Titleholder ("EAT") is the entity that will acquire and hold or "park" legal title to either your relinquished property or your like-kind replacement property during your Reverse 1031 Exchange transaction. The challenge in structuring your Reverse 1031 Exchange is deciding which of your investment properties will be acquired and held or "parked" by the 1031 Intermediary as your Exchange Accommodation Titleholder ("EAT"). The structure selected by you will depend on whether there is financing involved and which investment property your lender will allow the 1031 Intermediary to hold or park legal title to. The two structures are commonly referred to as Exchange Last and Exchange First because the simultaneous 1031 Exchange occurs either at the beginning (Exchange First) or at the end (Exchange Last) of your Reverse 1031 Exchange transaction. The Exchange Last Reverse 1031 Exchange structure is the preferred strategy because it will provide you with the most flexibility in terms of structuring and financing your Reverse 1031 Exchange transaction. It also provides you with more advanced structuring capabilities. Your like-kind replacement property is acquired and held or "parked" by the Exchange Accommodation Titleholder ("EAT") and a simultaneous or concurrent 1031 Exchange is completed later at the close of your relinquished property sale transaction (i.e. the simultaneous 1031 Exchange occurs at the back-end of your Reverse 1031 Exchange). The primary obstacle with this structure will be your lender. Lenders are concerned about the Exchange Accommodation Titleholder holding or parking title to the like-kind replacement property that will be used as collateral for the loan. We recommend scheduling a conference call between you, your lender and the 1031 Intermediary as early as possible to determine whether this Reverse 1031 Exchange structure is viable. You may need to shop around for lenders who are willing to work with you. We can certainly assist you with this. A Reverse 1031 Exchange structure should keep your lender happy, but will eliminate your flexibility in terms of structuring and financing the acquisition of your like-kind replacement property and any advanced 1031 Exchange planning capabilities. Your like-kind replacement property will be acquired directly by you, your lender will lend directly to you on the acquisition of your like-kind replacement property, and simultaneously you will transfer title of your relinquished property directly to the 1031 Intermediary as your Exchange Accommodation Titleholder (i.e. the simultaneous 1031 Exchange occurs at the front-end of your Reverse 1031 Exchange). The difficultly with this structure is that you must temporarily advance (i.e. reinvest) the total amount of your equity that is currently trapped in your relinquished property into your like-kind replacement property up front before your relinquished property sale actually closes. This kind of cash liquidity is usually not available. The 1031 Intermediary will set-up a separate special purpose entity in the form of a separate single member limited liability company that will be used exclusively for your Reverse 1031 Exchange transaction. The 1031 Intermediary should never hold title to multiple clients' real or personal property in the same special purpose entity. The sole purpose of this entity is to acquire and hold or "park" legal title to your Reverse 1031 Exchange property. Deadlines for your Reverse 1031 Exchange are essentially the same as in a forward 1031 Exchange transaction. You have 45 calendar days to identify what you are going sell as your relinquished property, and you have an additional 135 calendar days — for a total of 180 calendar days — to complete the sale of your identify relinquished property and close out your Reverse 1031 Exchange. Reverse 1031 Exchanges are more complicated and costly, so you need to review the amount of depreciation recapture and capital gain income tax liabilities being deferred to ensure that the cost of the Reverse 1031 Exchange transaction is justified. We at 1031 FEC would be happy to assist you. See Qualified Managed and Other Premium Investments Featured Real Estate Investment Properties & state locations with minimum investment equity are at Investments. Does your property qualify for this tax break? For a no fee confidential consultation and for more details contact 1031 FEC. We also can find if you qualify for a retirement tax deduction up to $100,000 for you and up to $100,000 for your spouse. We recommend your tax advisor or CPA be invited to consult and confirm details. Relieves the burden of active real estate ownership or "headache" properties (mailbox management by owners with owner controls). An experienced 1031FEC exchange advisor to consult and assist you to choose the best preferred exchange investment for your portfolio with financial planning, estate planning, diversification and risk tolerance considerations. Exchange a non-cash flow or low cash flow producing property for a premium higher cash flow producing property. Increase and earn more income. Access to ownership of income property in preferred, high grade quality corporate buildings, shopping centers, multi-residential and other triple net lease property in advantaged locations. Experienced proven and successful management plus the possibility of the advantage of the combined real estate experience of several owners. 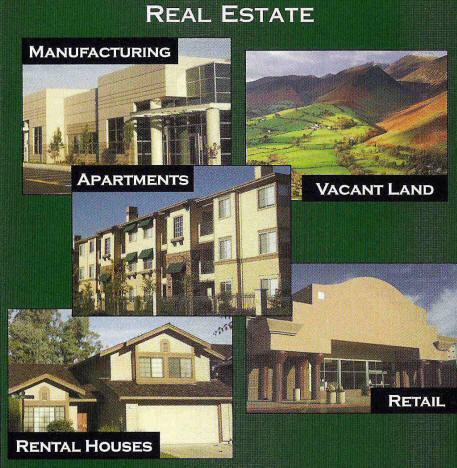 Diversify your real estate and investment portfolio by geography, property and investment type. Exchange one property for two or more for a lower risk property portfolio. Relocate property when owner retires, changes location for work or health reasons. Facilitate estate planning. Heirs receive property at the new 'stepped up' basis. Multiple beneficiary solution transfers individual or multiple properties by a will or Trust. Consolidate many properties into less parcels for a single or more manageable parcels. Access to cash with a partial exchange. Low minimum property investments and possible dollar matching exchanges. Exchange slower appreciating property for preferred property with increasing income and appreciation. Relieves the burden of future potential loss of value of temporarily inflated agriculture land or other inflated property values. Maintain wealth with higher quality income property. Avoid tax penalties and taxation burden with 1031FEC consultants to assist and guide you through the §1031 process to help assure IRS compliance, procedure and documentation. Disclaimer: The above brief descriptions are not to be construed as legal or tax advice and is qualified in its entirety by the actual closing documents. In case of any discrepancy, the actual closing documents will control.1031FEC recommends investors considering an IRS IRC §1031 tax-deferred exchange transaction or an IRS IRC §721 exchange include and consult their accountant and/or attorney.